This past weekend the movie The Black Panther released worldwide and we were there to see it! It’s a huge cultural event. It’s the first ever all-black cast movie premiere of a super-hero centered around the fictitious African nation of Wakanda. Little one and I have talked a lot about the movie, but that’s for another post. However, there’s one thing we will discuss in this post is that the Border Tribe (living in the outskirts of Wakanda) all wear a blanket wrapped around them. -> (Spoiler alert if you haven’t seen the movie) These blankets conceal their weapons and serve as a shield. 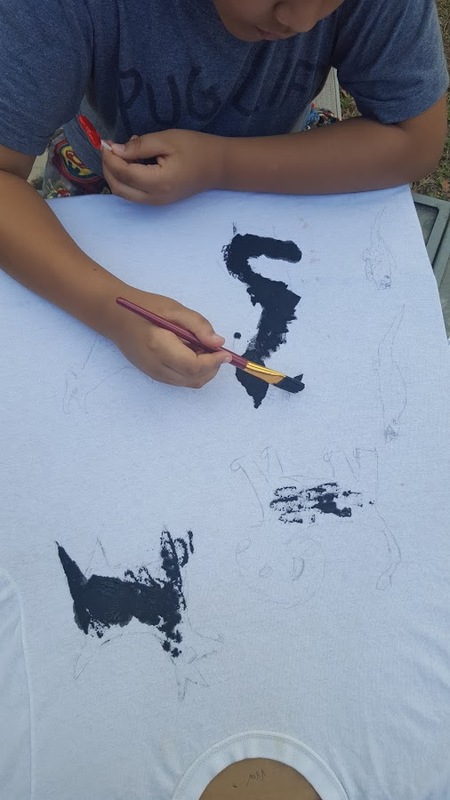 Looking to tie in the symbolism of the blankets I found a fun art project that I can do with my son: Senufo mud painting. 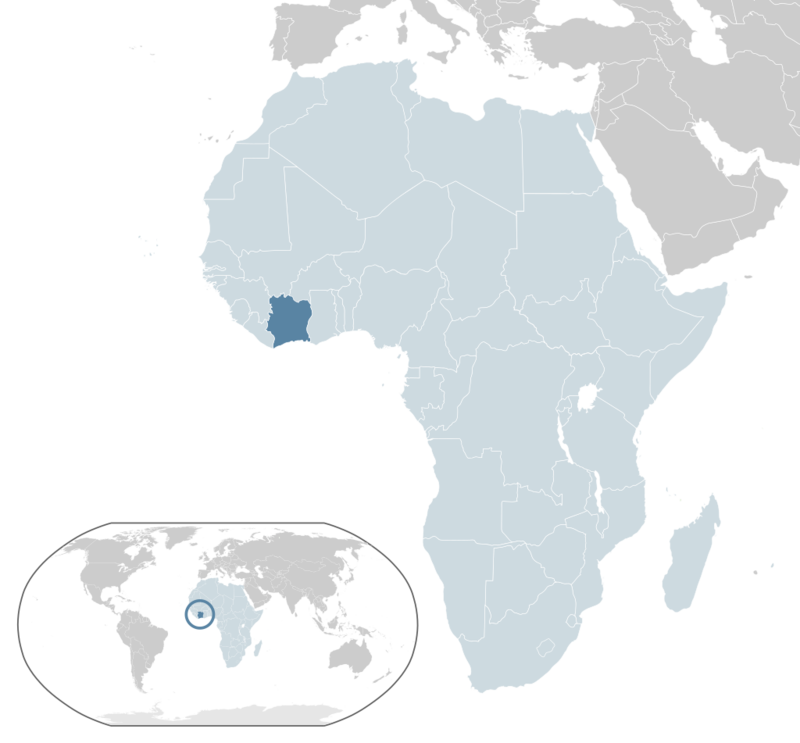 The Senufo people that live in Cote d’Ivoire (the Ivory coast) of West Africa wear clothing with mud paintings. 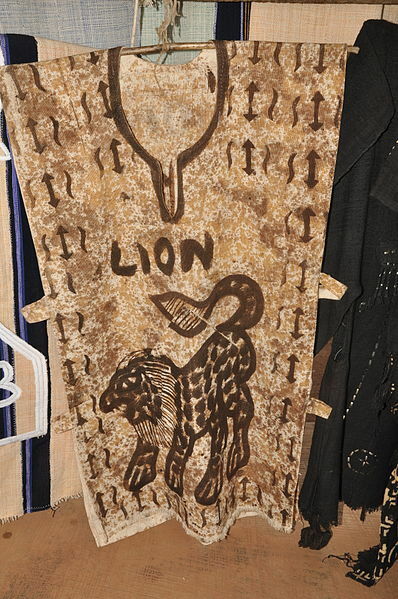 The mud painting were drawings of animals because they believed the spirits of these animals will protect them from injury and have a successful hunt. 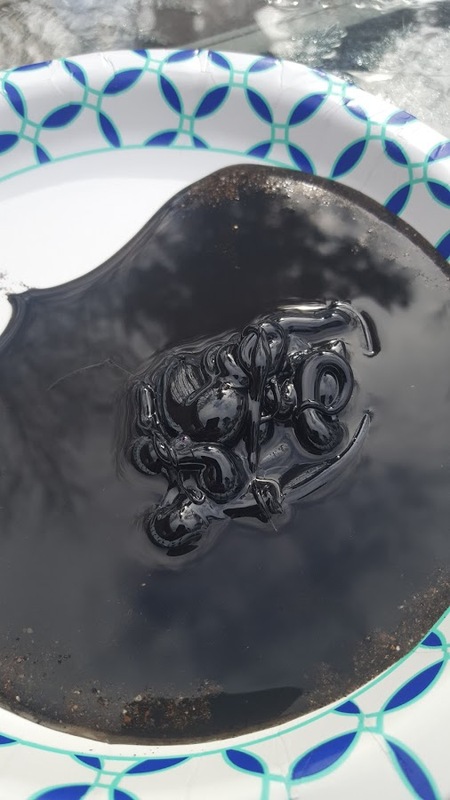 They would make the black paint out of mud and they’d boil leaves to make a liquid dye. They would draw an outline of the animals such as crocodiles, turtles, monkeys and lizard in their work, and other designs. They use the thick mud to paint. 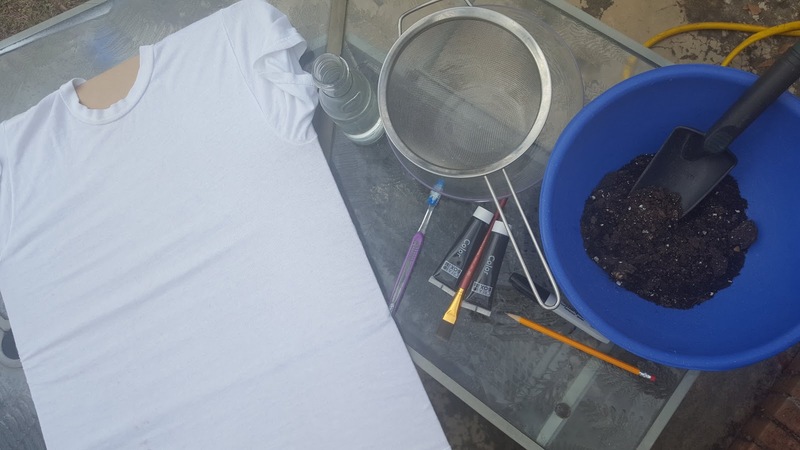 white t-shirt (a used one will be better) Put a cardboard inside the shirt to keep the paint from seeping to the other side. 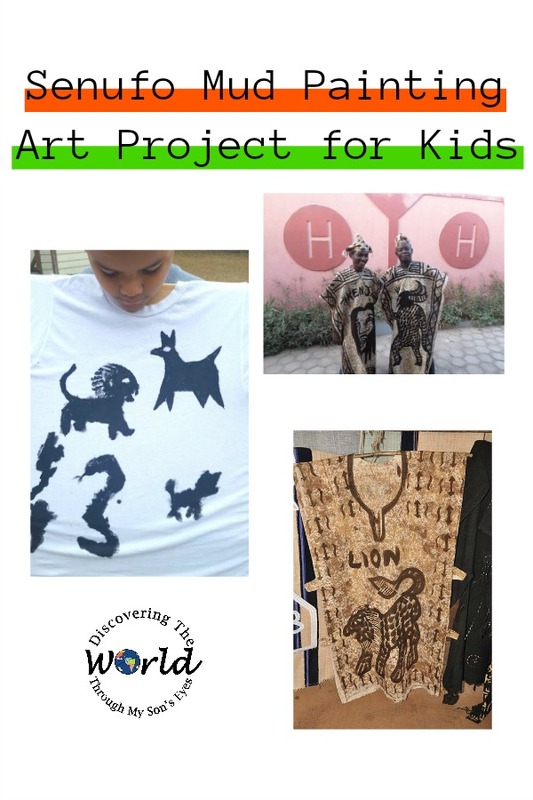 Have your child draw with a pencil the animals he’d like on his shirt, and you can trace over with the permanent marker. 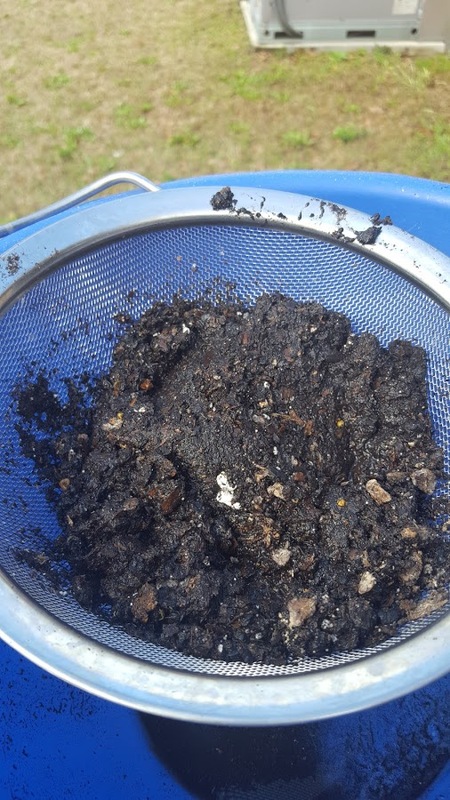 While he’s doing that you can put the dirt in the strainer and set over a bowl or plastic container. 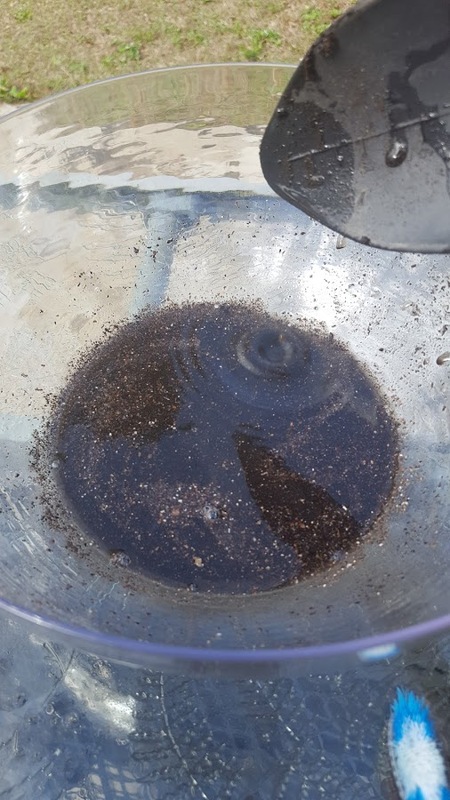 Pour water over it and press the dirt with a spoon. Carefully pour out the dark water and mix with the paint. Now have fun painting! Using a toothbrush scoop out the mud paint or use the paint brush. Once finished let your shirt dry overnight. Shake of any excess mud and hand wash with cold water, and let it air dry. 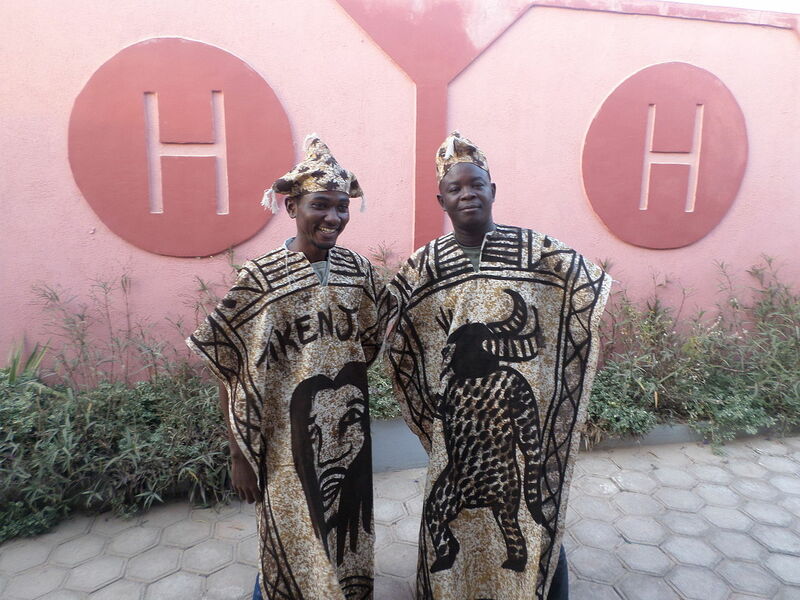 Below are some examples of Senufo mud clothing.